Graduated from Sun Yat-Sen University in 2004, Director Zhang Dechun stated her work on biological treatment for cancer. In order to provide patients better help and get improvement, she constantly reads books, learns about cancer knowledge, communicates and exchanges with other doctors, and participates in many medical seminars. Additionally, Director Zhang won the progress award of touched characters of Modern Cancer Hospital Guangzhou. 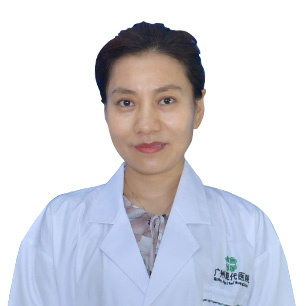 Director Zhang Dechun devoted herself to biological treatment for cancer since she graduated from Sun Yat-Sen University in 2004. As another new therapy following traditional treatment methods, natural therapy can kill potential tumor cells, improve patient’s immunity and consolidate treatment effect. Compared to traditional methods, natural therapy won’t hurt normal tissue of body, has higher safety and better improvement of life quality of patient. Over 10 years, she has been sticking to her work and natural therapy study. To get improvement, Director Zhang continuously reads books and learns, communicates and exchanges with other doctors, and participates in many medical seminars. She once participated in the fifth forum of natural therapy and molecular targeted therapy in tumor treatment of CSCO-south where she communicated with more than 40 domestic and foreign well-known oncologists and exchanged information about natural therapy, molecular targeted therapy, new technology of tumor treatment and comprehensive treatment for tumor and so on. Besides, she summarized her study and experience and published academic papers.